Can Silver ETFs can Extend Bullish Ways? You are at:Home»Alternative ETFs»Can Silver ETFs Extend Bullish Ways? Can Silver ETFs Extend Bullish Ways? 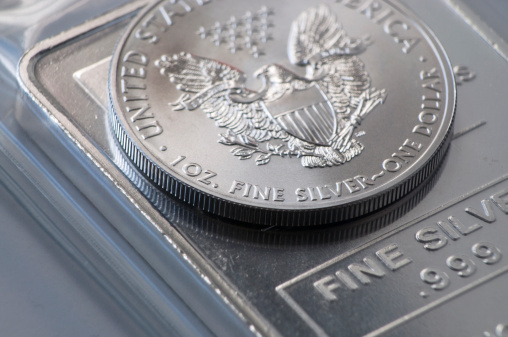 The iShares Silver Trust (NYSEArca: SLV) and ETFS Physical Silver Shares (NYSEArca: SIVR) are already among this year’s best-performing precious metals exchange traded funds, but some market observers see the good times continuing for silver and the related ETFs. Silver and other precious metals enjoyed safe-haven demand as the equities market plunged into a correction. The metal also maintained its momentum as the Federal Reserve lowered its interest rate outlook to only two hikes this year from a previously expected four rate hikes. Additionally, with the dovish Fed stance, the U.S. dollar weakened, which made USD-denominated silver cheaper for foreign buyers and a better store of value for U.S. investors. Along with SLV, investors interested in increasing their exposure to silver may look to a number of related ETFs, including PowerShares DB Silver Fund (NYSEArca: DBS). “The rally in silver prices over the past few sessions has been impressive, so much so it pushed one of our favorite momentum measures into unusually high territory. The other day we noted that this skewed the bias to the upside in the short-term, but choppy trading conditions could begin to prevail as the market becomes in need of a rest (pullback),” according to DailyFX.